WordPress is one of the best CMS out there for a number of reasons. Aside from being flexible and highly customizable, you can supercharge it using powerful plugins. Regardless of your goals for your website, you can be sure there’s a plugin for that. However, it’s always better to forego plugins and hard-code them into your site altogether. In this post, discover the different WordPress tweaks you can implement on your site or blog so you can avoid the risks carried by certain plugins. 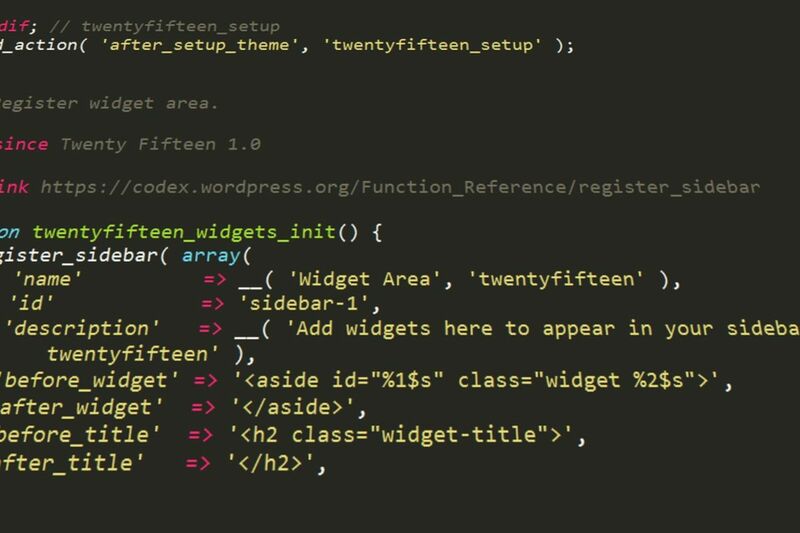 Why not use WordPress plugins? of your site, visitors will leave your site if it loads long enough. According to recent studies, 40% of total visitors leave the site that loads longer than three seconds. Not to mention, Google takes site speed into consideration as a ranking factor. If your site isn’t ranking on search results, then you’ll let potential visitors slip away from you! This goes out to all people building their website from scratch – WordPress or not. Finally, plugins carry security risks. Different developers upload their plugins into the repository, waiting for you to download them. And not all developers create plugins that are safe for use. There’s a small chance that hackers and online threats will use the plugin as a gateway to enter your site and steal your information. The valuable content you created and host on your site (infographics, videos, etc.) are potential culprits to your site’s slow loading time. It’s normal if someone liked the infographic on your site so much that they used it on their own site. However, problems arise if they linked to your image instead of downloading and uploading the content to their servers. As a result, whenever people visit a page from their site with your infographic on it, their site borrows bandwidth from your site. This becomes a serious issue if their page attracts hundreds and thousands of visitors daily. It puts a strain in your hosting resources, thus creating a domino effect on your site’s loading time. To avoid this issue, you need to prevent people from hotlinking to your site. Whenever people link to any of your content, your hosting will disable the content from showing on their site. This allows you to contain all your server resources to your site alone. You need to edit your URL and RSS feed in the code before pasting it into the file. Also, you can consider changing the last line to add more file formats. If you’re a blog, then having a related posts section appear at the bottom of the post allows readers to browse content similar to the one they just read. This helps increase visitor retention and potentially trigger engagement. The code above generates related posts by category. If you want to use tags instead, click on the link above for the code. Similar to related posts, this section shows content that visitors can click and read on your site. However, instead of limiting the posts according to category or tag, you show the best performing posts on your site according to comments. You can change the number of posts that appear on the sidebar. As it stands, five posts will appear on this section. You can change the ‘5’ on line 3 to any number you weeks. Also, the post with the most comments will appear on top. Before running this command, make sure to save your database first to ensure that all your files are safe. If something goes wrong accidentally, you can restore the files using the backup. To keep your social media buttons simple and to the point, you can refer to this guide by Crunchify so you can buttons that don’t put a strain on your server. This way, you can maintain your site’s performance at optimum levels. The guide shows you the code you need to paste on functions.php and style.css. Instead of posting the codes here, it’s best to simply check the page out to avoid confusion. Are these WordPress tweaks enough to make your site load faster? WordPress in itself is a powerful CMS with or without plugins. The latter helps make using WordPress much easier. However, if you can code the features of the plugins them into the site, then much better! As easy to use as plugins are, they carry risks that you don’t want for your site. Therefore, following the simple WordPress tweaks above helps you improve your site performance and keep it much more secure.